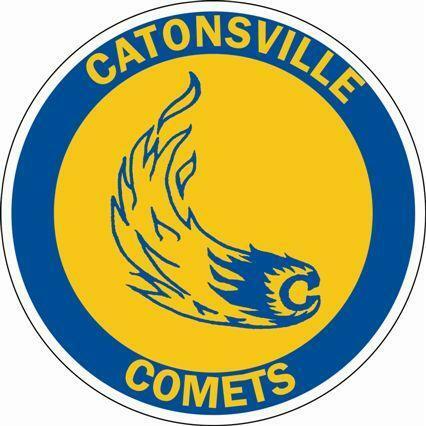 Blue plastic frame with “Alumni” in gold lettering at the top and “Catonsville High School” at the bottom. Navy cap with “Catonsville Alumni” on the front in gold lettering and adjustable back. White, navy blue, or gray t-shirt with CHS logo on the front. Available in L-XXL. Gray with navy blue CHS Alumni logo on front. Available in L-XXL. White, natural, or gray t-shirt. Available in L-XXL. 100% Cotton in natural, light yellow, or navy blue. This item is available via special order ONLY!! Please call Bob Gantt at (410)747-6903 to confirm pricing, availability, and other important information.